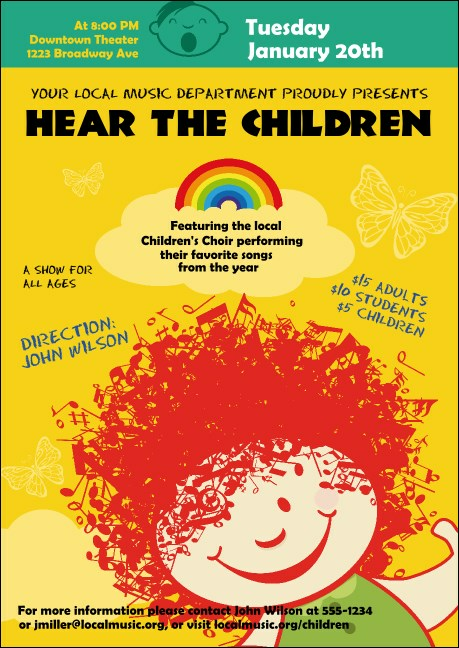 Sing a happy tune when you use the Children's Music Club Flyer to promote your event. Vibrant and full of joy, this flyer is perfect for any family oriented event, from school concerts to children's singing competitions. Easily edit up to twenty lines for all your function specifics. Raise awareness for your event with the right club flyer from TicketPrinting.com!